Wooden features are a great contribution to the exterior appearance of your home. Wood is a solid structure that has been used for construction as long as the Earth has been around. Nowadays, we use treated wood to make our structures last longer and look prettier. However, wood that is exposed to the outdoor elements constantly will become damaged, molded, dirty and mildewed. This can cause your wood to rot faster and look terrible. 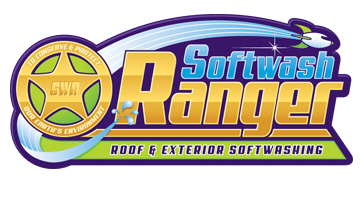 Softwash Ranger is an experienced exterior cleaning company that provides soft washing for North New Jersey wood deck and fence cleaning services. We have experienced exterior cleaning specialist who know how to clean exterior features without causing damages to your home. Soft washing is an innovative exterior cleaning process that involves using chemicals instead of pressurized water to clean your exterior features. These chemicals are eco-friendly and environmentally safe. They are rinsed off using a low pressure system that will not damage the structure of your wooden features. A deck is a great feature to have for you outside of your home. A wooden deck not only looks great, but it also makes it easy to enjoy the outdoor area around your house. It is important to clean your wooden decks regularly with a professional soft wash service. 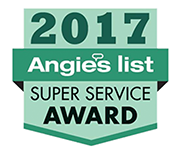 Softwash Ranger provides North New Jersey wood deck cleaning services that you can depend on for quality results. When summertime rolls around, you want to enjoy a nice clean deck. When you have mold, mildew or dirt on your deck it can be unsightly and embarrassing. At Softwash Rangers, we have professional cleaners who have the ability to clean your wood deck without harming the structure. You can depend on us for speedy, fast service. Cleaning a fence may not seem like an important job, but a freshly clean fence can dramatically improve the curb appeal of your house. Softwash Ranger is a professional North New Jersey fence cleaning company that provides soft washing services to clean the fence around your home. Our professionals are trained and certified to handle the safe cleaning of your exterior features including wooden fences. Cleaning your wooden fence regularly can help it last longer too. Wood is a solid structure, but it will slowly begin to decay if you don’t properly maintain it. Softwash Ranger can help you keep the exterior of your home bright, shiny and clean. When you notice your home in need of a good cleaning, call our exterior cleaning specialist for an affordable soft washing solution.